Every SEO marketer aims for high search engine results page rankings. Let’s face it: people who search on Google everyday don’t really go as far as the 4th or 5th results page – unless they’re desperate. If your content ends up somewhere in that district, it might as well be non-existent. That being said, a lot of people also make money out of “helping” businesses achieve that ultimate objective. What is it that they know about SEO that regular marketers don’t? Well, it all comes down to best practices. Jon Rognerud, a recognized authority on SEO with more than 20 years creating and managing marketing projects from small to large companies, including positions at online giant Yahoo! 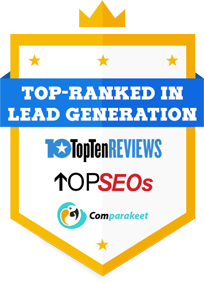 has shared his insights on how to get high SERP ranks. He is the founder of Chaosmap.com, a leading search marketing company in Los Angeles, CA. Website analysis. Analysis of meta sets/keywords, visible text and code to deter­mine how well you’re positioned for search engines. Competitive analysis. Examination of content keywords and present engine rank­ings of competitive websites to determine an effective engine positioning strategy. Initial keyword nomination. Development of a prioritized list of targeted search terms related to your customer base and market segment. Baseline ranking assessment. You need to understand where you are now in order to accurately assess your future rankings. Keep a simple Excel sheet to start the process. Check weekly to begin. Goals and Objectives. Clearly define your objectives in advance so you can truly measure your ROI from any programs you implement. Start simple, but don’t skip this step. Place strategic search phrases on pages. Integrate selected keywords into your website source code and existing content on designated pages. Make sure to apply a sug­gested guideline of one to three keywords/phrases per content page and add more pages to complete the list. Submit website to directories (limited use). Professional marketers don’t sub­mit the URL to the major search engines, but it’s possible to do so. A better and faster way is to get links back to your site naturally. Links get your site indexed by the search engines. Test and measure. Analyze search engine rankings and web traffic to determine the effectiveness of the programs you’ve implemented, including assessment of individual keyword performance. Maintenance. Ongoing addition and modification of keywords and website con­tent are necessary to continually improve search engine rankings so growth doesn’t stall or decline from neglect. More than 3 million retweets and counting. Staged or not, marketers can definitely learn from that historical Oscar moment when Ellen DeGeneres, host of the recently concluded Oscars ceremony, took a group Selfie that included Hollywood elites the likes of Meryl Streep, Julia Roberts, Brad Pitt, Angelina Jolie, Kevin Spacey and more. Despite Samsung’s persistent denial that it was a stunt, people couldn’t help but be amazed by the ingenuity. Not only that it has broken the Twitter record previously held by Obama during his last electoral win, and not only that it has made the Oscars event more enjoyable, but it also flamboyantly showcased a big shiny Samsung phone in front of everyone’s eyes – that’s 43 million people watching at home, and that’s just in the US. What made the publicity work like a charm? Ellen supposedly “came up” with an idea to tweet a selfie out of nowhere. She made it look as if it was unplanned, conniving with her Hollywood pals and make people think that they’re just like regular people who like to goof around even during a formal event. In a middle of a show, they posed for a group picture and uploaded it real time, while millions are watching. It was a simple concept yet the impact was unprecedented. Online businesses should learn how to take advantage and “be in the moment” so people can easily help publicize a brand or company. The best way to do that is to not let people think they are being marketed on; rather, create realistic scenarios and let their emotions do the buzzing. The selfie was explicitly intended to break the previous record for retweets, which was a little over 780,000. When Ellen announced to the world that she was aiming for a record-breaker, the entire online community responded to the call. And even if she didn’t really say it was for a record, people certainly would still retweet that photo because it was epic and silly at the same time. Then again, it’s much more exciting when you’re doing it to break records and be part of history. We often see these types of “challenges” online on Facebook business pages and blogs. This helps generate buzz for your brand and breed fun within your company. Had Ellen taken her selfie with a bunch of unknowns, the photo wouldn’t have been a trending topic, let alone retweeted that many times. It was the perfect opportunity to exploit Hollywood fame to achieve a goal – and it was a victorious attempt. Hollywood celebrities rarely endorse B2B companies, but there are industry influencers and thought leaders that create the same impact within a niche. Online business need to attract the attention of these prominent personalities so they can help put a product or service on the map. Everybody wants to take their businesses online, some even to the extent that they’ve totally abandoned print ads and commercials. In the future, there would be a time when online marketing would be the ‘traditional’ one and today’s traditional marketing would be ‘ancient’. But just like any other form of lead generation platform, its marketing power still has the tendency to go stale when the upkeep is poor. That’s why online content creators and publishers need to maintain the “freshness” level of their posts so their followers won’t end up getting tired of the same old stuff every time. Don’t always talk about yourself. Prospects look for a business that understands their needs and circumstances. If your content does nothing but promote yourself, they wouldn’t see the value of wanting to learn more about you, much less work with you. Delight their minds as well as their eyes. The experts will say that media-accompanied posts elicit more favorable responses. And this claim is backed up by heaps of statistics. But you don’t need a case study to believe it – photos and videos help boost a content piece’s marketability. Tap other sources. If you tend to confine yourself within your shell, don’t be surprised when you end up suffering a drought in content ideas. There is so much out there that can give you inspiration and give you more awareness of the industry’s condition. Check the calendar. You might be too preoccupied with creating content that you tend to forget what day today is. There might be something significant about today, tomorrow, the entire week, or this month that you could share with your audience while incorporating the value of your products and services. Share stories – and not just your own. There are a lot of shareworthy stories on the web that talk about how other businesses managed to reach their goals or how a successful business faltered after a grave mishap. These are gems that everyone, including you can learn from, and your audience would be grateful if you occasionally share such stories with them. What’s your take? Sometimes, content creation is reactive, not active. You need to develop and idea from the ashes each and every time. You can rummage around for questions and quotations related to your industry, and then share your answer or comment. Of course, when you give your two cents, make sure you back it up with sound logic and reasoning. Remember, your future business partners might be reading it. Just because clients in the Business-to-Business (B2B) sector are business professionals doesn’t mean they shouldn’t be treated as ‘customers’. In fact, they sometimes need more attention and nurturing than regular consumers. Lead generation in B2C is quite simple: you present a product or service, make sure it caters to the needs of your target market, add a little advertising magic, and you’re done. But with B2B, you may still need to meet the requirements of your business prospects. This involves the process of proposing a product or a model that serves to address their operational, financial and logistical concerns. Some experts recommend using a “business language” when talking to B2B prospects. While this definitely wouldn’t hurt a conversation, it’s also important to remember that these people may end up being future business partners. As it is a mandate to get to know them better, it might as well be wise to start that relationship as early as the initial touch. Mention the prospect’s name often, but not too much – Some people would think this is a nuisance during a conversation, but when prospects hear their name, it shows that you are genuinely interested in them. It makes the conversation less transactional and more casual. Be confident when talking – This should already be a given, but this is a trait that often goes out the window during an actual call. Confidence is a crucial factor even in the B2C customer service industry. When someone sounds like he doesn’t know what he’s talking about, the odds of a business partnership becomes unlikely. Recap and close with warmth – As with any customer service platform, telemarketers should make sure that the prospects have fully captured what has transpired in a call. Just a simple recap of the key takeaways, quick reminders of future tasks, and a memorable (but not too salesy) closing spiel can leave a mark on the prospect, which you may be able to capitalize on when the opportunity arises. The most important component of any sustainable email-based B2B lead generation campaign is email list expansion. That’s because no matter how superb your content is or irresistible your subject line sounds, none of it would matter if your list is not optimal in quality and quantity. And since most email lists shrink by an average of 30% every year, expanding your email should not be a one-time effort, but an ongoing one. Sometimes, the most effective ways to generate a list are those which are the easiest. You have to learn to turn every opportunity into something productive. 1. Mobile apps. A lot of people rely on their smartphones and tablets to instantly retrieve information they want: directions, weather updates, recipes, trivia or any other stuff that’s readily available and won’t have to require them to boot a laptop or PC. As a business you can also leverage mobile apps to cater to the needs of people. What’s important is for you to know what information they need, so you could have them opt-in for a subscription, thus expanding your list for newsletters, promotions and other marketing content. 2. QR codes. Some restaurants and bars offer free drinks when people sign up to their e-newsletter by scanning a QR code posted on the wall, sometimes even inside restrooms. While usage rates for QR codes are relatively slow, it’s still being used as a means for customers to opt in even in the physical world. Online, QR codes of course facilitate the lead generation process by doing prospects away with filling out lengthy forms. It’s the thing of the future, and sooner or later it’s going to be a huge part of the commercial industry. 3. Online contests. Believe it or not, there are people who find it hard to resist joining contests. So whenever you would host one, there will be participants for sure. On top of that, offer a really interesting and business-valuable prize so that even those who are not much of contest fans would also be swayed to take a crack at it. When people are interested in getting the prize or the concept of the contest itself, it should be easy for you to have them disclose their email addresses to join. As a telemarketer, it is important to understand every person you come in contact with everyday. Salesperson or not, it is only through familiarity and insight that telemarketers are able to converse genuinely, probe effectively, discuss business efficiently and generate leads frequently. B2B telemarketers must make an effort to be “personally acquainted” with what their prospects like in order to become an effective telemarketer. Know what types of marketing approaches pisses them off for you to reevaluate your strategies and make your efforts better. Your first 30 seconds is enough for prospects to decide whether to listen to you or hang up the phone. These lines allow them to identify you as a telemarketer. They know that telemarketers usually push their prospects to buy something they don’t need. This is basically a waste of time for them. People who are not familiar with the telemarketing industry have a negative association with the word “telemarketer”. Even if it is in their best interest to hear what they have to say, they don’t want to be contacted by a telemarketer. They want someone who only wants to do business with them if there’s an opportunity and not someone who will waste their time by pushing the product or service just to close the deal. If there’s an opportunity based on your prospect’s response, then proceed with the call. However, but if there’s no opportunity, thanked the prospect for taking your call, wish them well and end the call. I know you’re as excited as any salesperson to discuss your product or service. However, prospects don’t like telemarketers who talk about their product or service. They don’t need to hear how awesome your business is and how many awards you’ve earned. They appreciate it more if you can get straight to the point. Give them an impression that you’re interested in helping them by asking questions rather than focusing only on your product or service. Most of the time, prospects are looking for someone who can help them find a solution to solve their problems. Not someone who will push to sell their product or service without knowing if prospects can benefit from it. Be the telemarketer they can trust. Find out about their current setup. What their needs are and if they have any issues or problems within their organization. How? Then offer your product or service to let them know they can benefit from what you’re providing. Prospects hate it whenever telemarketers mislead them to get what they want. For example, a telemarketer saying, “I only need a few minutes of your time to discuss this.” Customers are smarter than that; they know there is more beyond that. Instead of aiming to sell with every person you come in contact, let them know what you have to say and why you think you can help them solve their problems. Treat them as people, not targets. Yes, you do want to make the sale, but never forget to treat the prospects with the respect they deserve. Then, ask questions such as; “What exactly are the features that you’re looking for?” And assure them that you will look into it and get back with them if you already have the answer to what they’re looking for. How? Prospects don’t like it if telemarketers don’t listen. For example, the prospect is asking about something and telemarketer failed to address the issue and just keeps on asking questions. Telemarketer: We are a reseller of ERP software in Australia. I would like to know if you have plans of evaluating your ERP software in the next 6-12 months? Telemarketer: How long have you been using SAP? Do you have any issues with it? Never neglect your prospect! ALWAYS address their questions first. This way, you will be able to learn of your prospect’s situation and be able to offer solutions on how your product or service can help them. They don’t want to buy your product because it’s the best; they want to hear why they need it. As a telemarketer, you must know that in order for you to close the deal, you must earn your prospects trust by showing how you value them as a person. Let them know that you only mean business and that your goal is to help them. If they are not interested and you can’t see any opportunities, do not mislead them and push them into making a decision to purchase. Prospects are smarter nowadays, they don’t decide right away, So it is better to walk them through it and show them the door. with effective appointment setting and lead generation process! You have probably met success in your B2B appointment setting campaign, and that surely is a good thing for you and your business. With today’s highly competitive business environment, doing your best to generate a lot of qualified sales leads is very important. And once you have reached the pinnacle of your success, you would want to sit back and see how well you have done things. Well, if you can afford to sit back. You see, markets and trends change all the time, and even a successful company can be pulled down from the top if they are not careful. And they will never learn about it until it is too late. Now, what could these silent B2B lead generation killers be? First of all, there is hubris. I know, it is normal for many of us to rest on our laurels. I mean, we did work hard to reach our goals, so it is only natural that we want to enjoy the fruits of our success. Now this is where the problem comes in. We think that we have done so well, that tend to think that we need no improving anymore. But that is far from the truth. Markets and buying habits can be unpredictable. Even if you can predict it, you still have to adapt to the changes. Not doing so will not just be detrimental to your marketing team’s ability to generate B2B leads, it would also let your competition beat you as well. Second of these would be laziness. Conducting B2B appointment setting campaign is hard, there is no doubt about it. The trouble here starts when we think that we have found the ‘magic formula’ that will solve all of our sales leads problems. Unfortunately, this is something that is not that likely to happen at all. If you want your telemarketing team to be more successful in converting sales leads prospects into actual close deals. You have to constantly challenge yourself, to be better than before. That is the secret to being really successful. Here, it is not just your body, but also your mind, that has to work overtime. Lastly, and one most common to business executives than the rank and file, would probably be absenteeism. You see, there are just so many things to do, so many opportunities to explore, that you might find yourself getting stretched thin. You know that quality means a lot in your business operations. And if you cannot oversee it properly, then the quality would drop. This, in turn, would reduce the demand from your sales leads prospects. When that happens, well, you have just lost a sale. Better be around and see things than go chasing business opportunities that you would be unable to handle. In any case, if you can avoid these three serious B2B lead generation campaign killers, then you will be able to manage things well. It is a necessary action to take in order for your business to survive now and tomorrow.